Cosima said it in episode six and episode seven just proved it; the clones are stronger together. 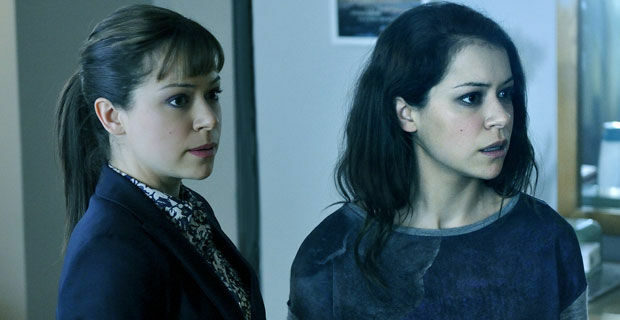 The material in the rehab center exemplifies what makes Orphan Black so special – it’s ability to strike a unique, entertaining and incredibly satisfying balance of honesty, humor and suspense. The show’s been busy building Family Day hype, the importance of Vic’s return and the threat of Angie’s determination to catch a clone – and in ‘Knowledge Of Causes, And Secret Motion Of Things’, all three come to a head (and at the very same time nonetheless). Welcome back to Best Movie Trailers of the Week, a column where we handpick the best new movie trailers that have arrived online over the past week. 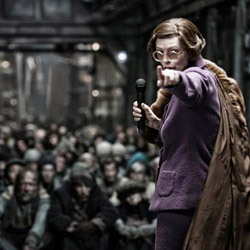 The Snowpiercer promotional campaign is making an extraordinary turnaround heading into its June 26 debut. We got one trailer with a frenzied and confusing sampling of the story and thenanother that tried to wow us with action without any character development. Angelina Jolie playing Maleficent has loads of potential, but that alone can’t support a movie. This is “Sleeping Beauty” from Maleficent’s perspective. As a young fairy living in The Moors, Maleficent meets a human boy named Stefan (Sharlto Copley). As they get older, they remain friends until Stefan decides he’s really a power-hungry wannabe king and betrays Maleficent in exchange for the crown. When Stefan’s daughter Aurora (Elle Fanning) is born, Maleficent retaliates by putting a curse on the newborn, one that will have her slip into a deep sleep on her 16th birthday. However, the story is secondary because prime importance is placed on the fact that Jolie dressing up as a Disney villain will draw a crowd. Minus the light 97-minute running time, there isn’t a single redeeming quality to “Maleficent.” It’s a harsh assessment, but when you’ve got such a talented visual effects artist at the helm, iconic source material, an all-star cast and a hefty studio-sized budget to back it all up, there’s just no excuse to deliver such a lazy film. 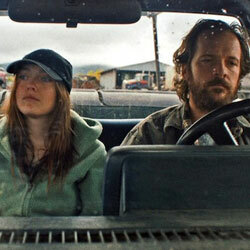 “To cook meat well, don’t touch it too much.” According to Peter Sarsgaard, that’s the approach writer-director Kelly Reichardt takes to her movies and you can absolutely see that in her latest, Night Moves. Jesse Eisenberg and Dakota Fanning lead as Josh and Dena, a couple and pair of environmental activists determined to blow up a dam in Oregon. In order to get the job done, they team up with Sarsgaard’s Harmon, a former Marine who has a little more knowhow. Even though the trio actually manages to pull it off, their success doesn’t have the intended effect and instead leaves them suffering the consequences themselves. Click here to read more and watch the interview. The most impressive feat in “Frequencies” is its exceptional union of science and romance, but that only makes it more noticeable when the balance is off, even if just the slightest bit. “Frequencies” takes place in a world where a person’s frequency determines their luck, relationships, potential and everything in between. Shortly after a grade school test confirms that Zak is low frequency and Marie is high frequency, the two begin experimenting with their tendency to literally repel each other regardless of how they truly feel about one another. Years later, Zak (Daniel Fraser) works tirelessly to overcome his fate and challenge the scientific fact that he and Marie just aren’t destined to be together. “Frequencies” is a smart and ambitious movie, but sometimes, too much for its own good. This idea of everyone having a definitive frequency that dictates his or her place in the world is deeply fascinating. The moment the movie explains this rating system and what it means for an individual’s quality of life, you instantly wonder where you might fall on that scale, making the scenario highly engaging right at the start. But, the further it delves into the science behind frequency and how to change it, the more distant you become from the concept. 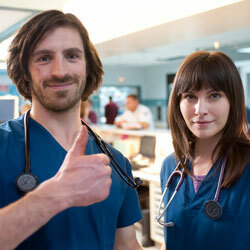 Meet the doctors of NBC’s The Night Shift – Eoin Macken, Jill Flint and Ken Leung. Thanks to a recent promotion, Flint’s Jordan Alexander is doctor #1, but even though Jordan’s in charge, Macken’s TC Callahan has no intentions on abiding by any hospital rules, especially if it means sacrificing a patient in the process. Leung’s Topher always puts his patients’ wellbeing above policy and finances too; he’s just a little more deft at manipulating the system so that the San Antonio Memorial senior manager, Michael Ragosa (Freddy Rodriguez), doesn’t bear down on Jordan for breaking too many rules. Click here to read more and watch the interviews. ‘Night Work’ and ‘Séance’ were enough to get you on board and interested in more, but ‘Resurrection’ marks the first sign of binge-watch tendencies. Late night, work obligations or other pressing commitments? Forget about them. 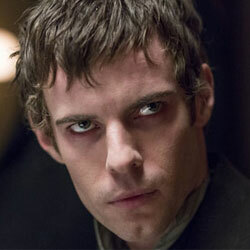 Had there been access to ‘Demimonde’ right now, Penny Dreadful would have been the priority. The show’s already achieved quite a bit in terms of building characters and this world thus far, and that’s as evident as ever in the success of this episode. Dr. Frankenstein and Caliban’s (Rory Kinnear) situation should have been a difficult storyline to pair with the continued search for Mina (Olivia Llewellyn), but seamless transitions, a strong foundation and a stunningly subtle union at the end of the episode make both highly engaging on their own yet feel like natural components of the same world.